Read more details of International Workshop on GRC Research, 2019 >>. 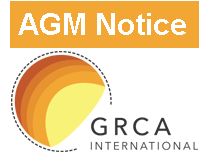 The GRCA AGM will be immediately followed by a GRCA Council Meeting. The GRCA Council Meeting is expected to be immediately proceeded by a GRCA Technical Working Group Meeting. The International Glassfibre Reinforced Concrete Association (GRCA) took a booth at the Café Concrete Show, Coin Street Neighbourhood Centre, London SE1 9NH on Tuesday 30th October 2018, and the GRCA Technical Working Group Chair, Mr Ian White, gave a very informative presentation entitled “Properties and applications of glassfibre reinforced concrete”, during the afternoon session. Originally formed in 1995, 16th October 2018 marks the 40th Anniversary of the GRCA becoming a legal UK Company registered as a "Company Limited by Guarantee" under the UK Companies Act. The	original name of the company was "The Glassfibre Reinforced Cement Association", and the name was changed to the current "The International Glassfibre Reinforced Concrete Association" in 1998. 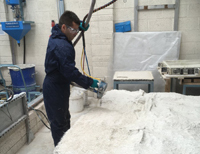 The International Glassfibre Reinforced Concrete Association (GRCA) has introduced a Frequently Asked Questions (FAQ´s) page on this web site, to answer all your questions about The International Glassfibre Reinforced Concrete Association (GRCA) and Glassfibre Reinforced Concrete (GRC / GFRC). See the GRCA FAQ´s page >>. This new video on the 1000 Museum skyscraper in Miami, designed by Zaha Hadid, has been produced by The B1M, features the glassfibre reinforced concrete GRC / GFRC exoskeleton which gives the building its extraordinary design features. 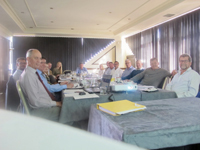 The GRCA AGM was immediately proceeded by a GRCA Technical Working Group Meeting and immediately followed by a GRCA Council Meeting. Read more details of GRCA GRC workshop, 2018 >>. complete the GRCA Member Survey. The latest version of the GRCA Fixing Guide has been prepared by theTechnical Working Group and can now be viewed on this web site. It utilises the latest technology in 3D animation techniques and contains a number of practical examples to illustrate various fixing techniques. View the View GRCA Fixing Guide here. It is with great sadness that The International Glassfibre Reinforced Concrete Association (GRCA) heard of the sudden death of Matt Hanley. 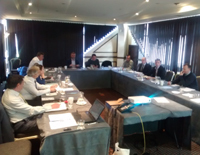 Matt had been involved in the GRCA over many years, having worked for a number of the Association's Members and was influential in the production of various of the Association's technical documents. Matt was also a past Chair of the GR CA Council. He will be sadly missed by the GRCA and the GRC industry and the Association's thoughts and condolences go out to his family. 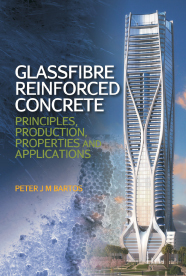 A video on the use of GRC /GFRC, with project specific items and historical references, has been produced by The International Glassfibre Reinforced Concrete Association (GRCA). View the New GRCA Video here. 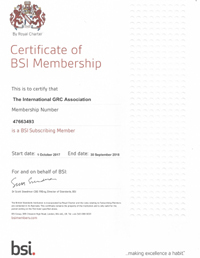 International Glassfibre Reinforced Concrete Association Director Neil Sparrow, and the GRC Association itself, have profile pages on LinkedIn posting about GRC / GFRC around the world. If you have an interest in GRC / GFRC Please follow GRCA on LinkedIn.